We are going to bring your attention back to the Third Eye region. From your Third Eye to the Pineal Gland and the High Heart. Bring your attention to this space and as you move your attention here your Spiritual Body will move out of this region, move through your physical body to stand before you. You are in complete harmony with this spiritual body. You are completely comfortable with this experience. Turn and face forward into the circle. Notice that everyone is standing beside you in a circle. Each of you feels a sense of giddiness about this experience. One by one you are going to step forward into the tube of light and move down into Hollow Earth. As you moved into Hollow Earth you will form a circle again. You will look around and see the beautiful scenery. Note what scenery you are seeing. As you hold hands or stay near to one another you move together as a circle you will notice that there is a beautiful flame, an ultraviolet flame to the right of you. You as a group move to this flame. This is St. Germaine’s Flame. This Flame will cleanse you, heal you and transmute you. This is a Flame that is familiar to you for you have passed through this Flame at different times, of many different lifetimes. As you stand around this Flame and you see its’ burning, cool flame, take your turn, one at a time, walking through this light. As you take your turn walking through this light, you feel as the energy moves throughout your Spiritual Body. Any dark spots that are found on your Spiritual Body are cleansed immediately. You feel the energy of this Flame as it cleanses you and it raises your vibration. It feels like giggles upon your skin! It feels like laughter. As each one steps into the Flame and has this experience, we want to assure you that when you return to your body, you will return as a new being. You will return transmuted. Everything that occurs this coming week will be seen by you in a different way. Now that everyone has had the opportunity to walk through the Flame we invite you to come back into this circle again through the Pillar of Golden White Light. Feel yourself “whooshed” up into the room once again. Look at each one standing in this room, standing in the circle. See the brilliance of your light now. Stand in front of your body and take your seat in that body again. Know that you are a New Being, transmuted and strengthened. You feel your energy raised and you can feel the download of this experience throughout your entire physical body. You experience perfect health, perfect vision. We return you into this space as a New Being again for the days and weeks ahead that we shall speak of momentarily. Bring the memory of this experience with you. I am “Lady Nada”. It was important to bring this experience to you today. It is important because it is time. The energies have shifted. The energies are coming. The energies are here. Many of you have experienced the “opportunities” of becoming adjusted to the new energies. Many things have been “promised” over the next couple of months. What I wanted to come today to do was to share. Share on behalf of my Beloved, Sananda, and myself and the Ascended Master’s from around the world who are ever so close to you now. So many upon the planet are listening to our words. We come to describe to you what is to occur moments after the “Event”. Part of the excitement we come to share is that we shall appear to millions upon millions even billions of people upon the planet. You will see and experience what you choose to see and experience. We will be experienced by the billions in very individual ways. If you believe in Mohammed, you will see Mohammed. If you believe in Buddha, you shall see Buddha. If you believe in Jesus, you shall see the Master Jesus return. If you have no awareness of Lady Nada, I will not be visiting at that moment. The celestial skies will be filled with the multi-dimensional selves that you have come to understand for yourselves as well as for all of us. We have chosen to come in different personality and to bring messages across the world. Those things that have been noted in this group, those things such as the similarity in messages that are being brought are a sign of the times. The similarity in messages presented in different languages around the world. The messages that are from different Masters and through different channels are similar. The Galactics join all those who are bringing you messages. There are so many beautiful things that are occurring now at this moment. We have talked before of the water that is appearing in different parts of the world. We have talked about the food that has appeared in deserts and in places where people have not received food in a very long time. That veil that you have talked about and we have talked about has thinned to the point where miracles DO happen! It was on the mind of this one this week as she shared about the miracle in her life. There are miracles happening everywhere because the focus of those of you of higher consciousness continues to concentrate on what you wish to see in your lives at this time. And those who are maybe not awake in the way you are awake or aware of those things of which you are aware of but those who are (for instance) clinging to tribal customs, are seeing miracles. The veil, the curtain is all but gone. As that has fallen there have been so many things that are occurring. The energy wave that you look for in the future, you do not have to wait for that because the energy is here at this time. Yes, the “Event”, the “Wave”, the “Tsunami” whatever you would call it, it shall be here. But you do not need to wait for it. Yes. These energies are going into people’s minds and bodies and are affecting their spirits. These energies that have come in for transformation have caused (in a number of people) a variety of the “flight or fight” syndrome symptoms. We spoke of this many months ago to this group to describe many of the emotions people were feeling. It is no longer a part of the “bigger” plan of the Cabal. It is now a response to the implantations over the centuries and the programming that has taken place. And while many of the things that have been spoken of around the programming of the Human Race for such things as Extraterrestials Wars or Zombies that this group has been discussing today will never happen. 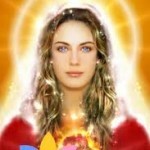 Many people are in the “flight or fight” panic mode because of the energies coming in. The energies coming in affect Corporate America in different ways. Affect your job in different ways. Affect your co-workers in different ways. Affect people going to moving theaters in different ways. The more one tries to escape, the more one will see the reality they choose to see. That is the benefit of the “Wave”. Erasing so much of the realities that you have seen to bring in the new consciousness, the new awareness, the NEW Human! The New Human! So, we continue to take your hand and take you forward. We know of the grand parties planned. We know that as you call to us we come to you, we walk with you and we talk with you. These are our times to be with you and walk you through the fire as we did today. Walk you through the fire of transmutation and transformation. As you see those in your world act in negative ways, friends, it is part of your plan. You have chosen to be exactly where you are. You have not been given tests. You have not been given contracts that you have not agreed to. You have agreed to be here at this time, exactly where you are, when you are, with the people with who you choose to be. And as hard as that is to swallow sometimes, know that this group, as well as others around the planet, but know that as this group meets your heart is filled again with the love, the strength, the fortitude and wisdom to go forth. These are amazing times! Go forth today knowing that you have been girded, you have been strengthened and that you have a new path to walk because you have been through the Flame of St. Germain. We give you thanks and we will be with you until the end of this session today. Thank you. “Lady Nada”: At first, billions of people will be seeing us in the skies. The interpretation will be coming to each person. “Who is the Being that is appearing to them?” It is hard to explain because you do not have anything that you can relate to in this manner. First we shall be witnessed in the skies and then we will come to walk among you. It will be a process. Those who have the vibration level to experience this physically will have that experience. It will take time for others on the planet to raise to that level but they will be in the process of say “swallowing” this. 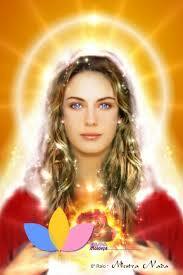 They will first come to accept the celestial images and then come to accept the Ascended Masters as friends. It will be difficult for the masses to accept those they have worshipped to understand equality and friendship. This will be with the mentors and others who come as well. This will be a “feat” we believe that will be understood by a broader race of people if we appear in the heavens and we appear as what they would expect to see in their particular framework of religion. Those who have come to know us outside the framework of religion have come to know us as different personalities and you would see us as different personalities. After this occurs we will visit you in the dimension in which you are so that you might experience us in a more physical manner. Does that make sense to you?